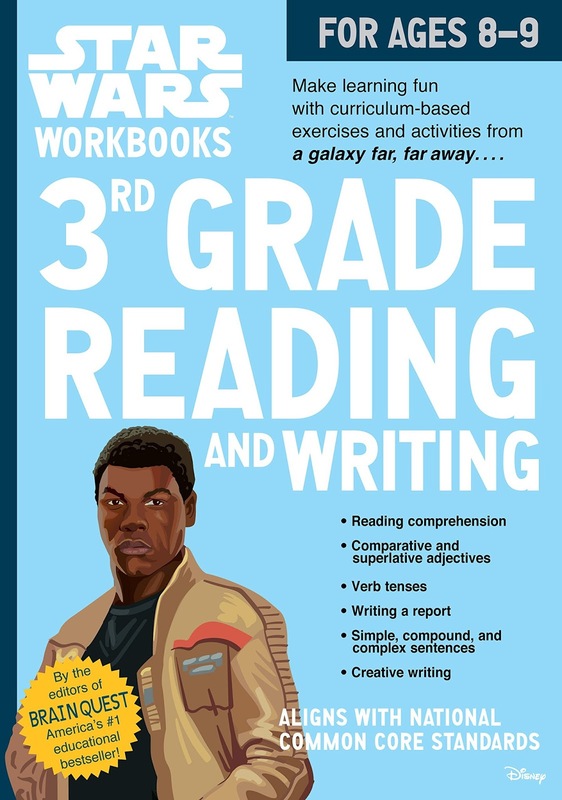 In these workbooks of activities the children will use the Star Wars characters to practice reading comprehension, adjectives, verb tenses, writing a report, identifying sentences, and creative writing. The activities will challenge the child and stretch their minds to use their creative thinking and analysis skills. Some of the pages require prior knowledge. For example the page in which the child must identify sentences according to simple, compound, and complex could be difficult if these terms have not been learned. I thought that the two pages where the child must use a glossary page to answer questions was very well done. The child would definitely need to read carefully and use the skills of knowing how to use a glossary to answer the questions. The answers are located at the end of the workbook. I view this workbook as one that could provide a child with some interesting ways to practice skills of reading and writing. To make these workbooks fun, the authors have incorporated the Star Wars characters to practice various math skills. .The pages included math concepts using multiplication, division, problem solving, elapsed time, measuring perimeter and area, and reading graphs. The pages are colorful and easy to read and use. I feel if the child has learned the various skills , the pages should be fun to work on independently. However, the child may need some assistance with the exact meaning of some of the directions. All the answers at at the end of the books. 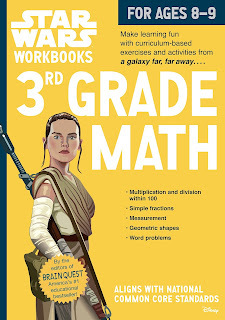 I believe an 8-9 year old child will find this book challenging, fun, and a good way to reinforce and apply learned skills.